Okay, so naturally when I decide to post a really bright and summery outfit post, the weather decides to turn miserable. Typical. However, I'm hoping brighter days are around the horizon and so I thought what better way to look forward to them than sharing my mint and pastel pink outfit. I bought the Sugarhill Boutique shorts a little while ago from ASOS, and wasn't really planning on wearing them any time soon (I thought they were a tad too summery), but I started playing around with things in my wardrobe and soon this outfit formed in my mind. Although my trusty Primark blazer isn't the exact same shade of green, it's pretty similar and gives the outfit a slight co-ord feel to it. I wanted to keep the theme of pastel pink and mint throughout, right down to my frilly mint socks and baby pink dolly shoes. 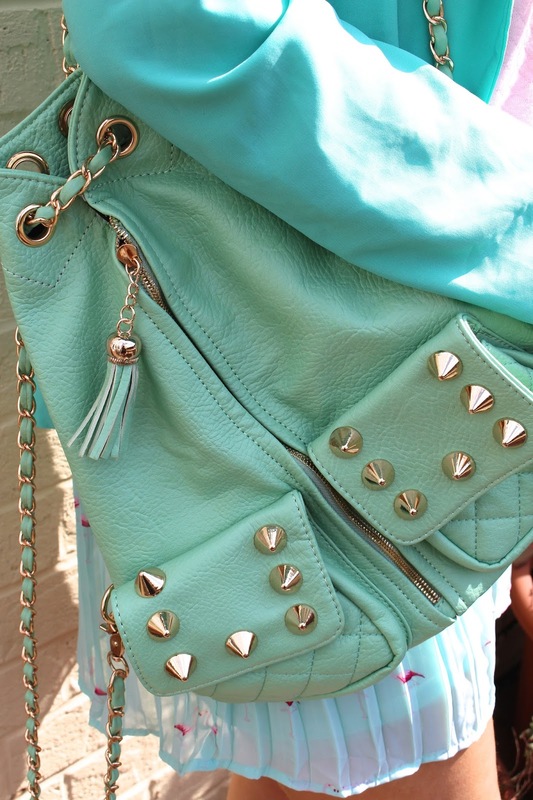 I dug out my favourite mint bag from Karmaloop, and, again, although it's not the exact same shade of mint, I think it works. I felt really bright and spring-like in this outfit and can't wait to wear it again (yes, I wear my outfits more than once...) when the weather decides to brighten up again. 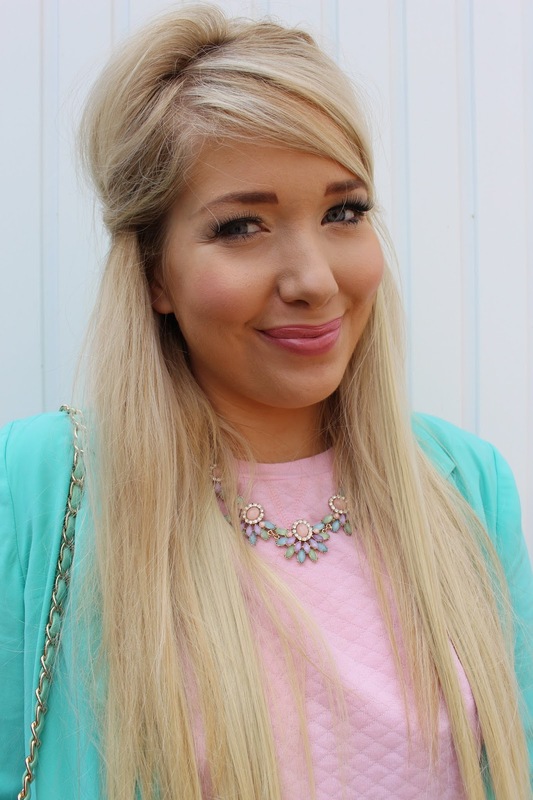 What do you think to my mint and baby pink outfit?